The chinrest, making violin/viola playing much easier, was an invention of composer Louis Spohr. Louis Spohr was a very well-known German violinist, conductor, and composer. During his lifetime, he achieved great acclaim, and his output included ten symphonies, ten operas, eighteen violin concertos, four clarinet concertos, four oratorios, several works for chamber music and art songs. He is considered a bridge between the Classical and Romantic eras, and was a champion of the violin concerto, trying to create a superior art form free of “artificial bravura”. That didn’t really take – don’t we all like a bit of technical flash? He achieved lyricism in his works to be sure, but his rhythms weren’t exciting or complex enough to quite make the lasting upper echelon of the violin concerto canon. While Spohr’s fame didn’t have the lasting power of his fellow composers of the time (Niccolò Paganini, Carl Maria von Weber, or Gioachino Rossini) there has been a revival of his music in Europe in the last few decades. His impact also lasted long beyond his years; many of his violin students went on to successful careers and taught future violinists. 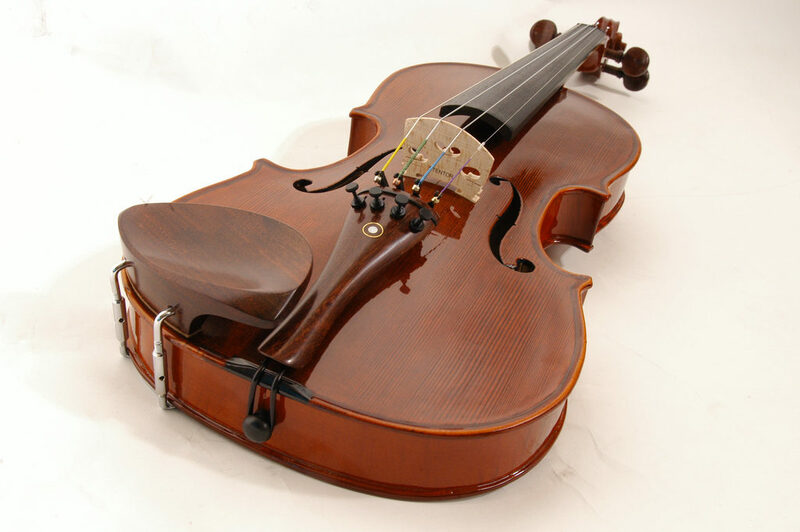 Spohr invented the chinrest, now an essential accoutrement for the violin. He was also responsible for the now-standard use of the conductor’s baton. Curious, I turned to “Conductor’s Choice” host Kerry Stratton to ask what goods he had on Louis Spohr. He said, “Oh yes, Louis Spohr. Back in the day, conductors would stomp the beat to keep the orchestra in line. Spohr stood in front of the London Philharmonic with a baton, which shocked and appalled the Orchestra’s board of directors. They forbade the baton. But the players said they loved it, and found their cues much easier to see. The baton stayed.” Thank you, Kerry! And thank you, Louis Spohr, for making the violin and viola easier on the chin, and for orchestral cues that can be easily interpreted. Louis Spohr was born April 5, 1784 in Bruanschweig, Germany, and died October 22, 1859 in Kassel, Germany.